Furnished 2 bedroom 2 bath plus Den, glass enclosed lanai, screened front porch and 2 car garage. Eat-in kitchen features newer appliances, cabinets and granite counter tops. Queen size bed in Master BR, Twin bed in GB & Twin bed in Den. It's set up for easy living. Turnkey furnished with everything you need to walk in the door and enjoy the active lifestyle and amenities in Sun City Center-Heated pools, Fitness Center, card rooms, Theatre, wood working shop, arts & crafts, Computer room and many clubs. Landlord pays for lawn service, weeding and tree & shrub trimming and two Sun City Center Community activity cards. 12% Tax applies if rented less than 6 months & 1 day. SPACIOUS FURNISHED SINGLE FAMILY HOME WITH ENCLOSED LANAI AND PORCH. TWO CAR GARAGE.TENANT PAYS ELECTRIC & WATER. LANDLORD PAYS FOR TWO SUN CITY CENTER COMMUNITY ASSOC.CARDS FOR RECREATION CENTER & LAWN MAINTENANCE.ANNUAL RATE $1,100.00. SEASONAL RATE $1600,SEC DEP $800,UTILITY DEP $200 12% TAX APPLIES IF UNIT IS RENTED LESS THAN 6 MONTHS AND 1 DAY. BEAUTIFULLY FURNISHED HADDINTON MODEL HAS 2 BEDROOMS, 2 BATHS +DEN, SPLIT PLAN WITH GREAT ROOM, INSIDE UTILITY ROOM, LOCATED ON WATER. THIS LOVELY CONDO HAS MANY UPGRADES. TWO NEW TV'S FLAT SCREEN 37" & 26" W/HI-DEFINITION. LOCATED IN KINGS POINT. SEASONAL OR SHORT TERM LEASE $2,000.00 PER MONTH. 12% TAX APPLIES IF RENTED LESS THAN SIX MONTHS AND ONE DAY.TENANT PAYS ELECTRIC & GAS. LANDLORD PAYS WATER & SEWER, BASIC CABLE TV, TWO RECREATIONAL PASSES & LAWN MAINTENANCE.DON'T MISS SEEING THIS BEAUTY! Beautiful furnished single family home located in Greenbriar subdivision. 2/2 with Florida Room, split bedroom floor plan, & two car garage.Seasonal rate $2,000.Tenant pays Electric & water.12% tax applies if unit is rented less than 6 months and 1 day. This lovely property can also be rented on an annual basis for $1,100.00 a month.12% tax applies if rented less than 6 months and 1 day. LIKE NEW UNFURNISHED 2BR/2BA 2 CAR GARAGE WITH GORGEOUS VIEW OF GOLF COURSE AND WATER...TENANT PAYS ELECTRIC, GAS AND TELEPHONE...LANDLORD PAYS CABLE, WATER AND LAWN SERVICE. IF RENTED LESS THAN SIX MONTHS AND ONE DAY A 12% TOURIST TAX APPLIES. Furnished 2/2, 2 Queen Beds. Landlord pays Water, Basic Cable TV, Lawn Maintenance, and Clubhouse dues for 2 people. Tenant pays Electric and Telephone. Seasonal Rate is $1,200.00. Beautifully furnished 2 BR and 2BA Somerset model with enclosed lanai, and garage. King size bed in Master Suite, twin beds in Guest Bedroom. Two T.V.s Landlord pays Basic Cable T.V., Water & Sewer,Clubhouse dues for 2 tenants and lawn maintenance. Tenant pays Electric, Telephone, and additional cable/internet if desired. 12 % tax applies if rented less than 6 months & 1 day. Annual rate $900. Seasonal rate $1,600. Experience the wonderful lifestyle in this active community that has two Clubhouses with 5 pools, fitness centers with trainers on staff, computer labs, stage theater & movies, over 200 clubs and activities. Award winning Gulf Beaches, Tampa Airport, Cultural and Sporting Events are just a short drive. Attractive furnished Twintree Model located on the Lake. Enjoy the cool breeze & view of the water while sitting on the tiled lanai. Beautiful tile floors throughout the entire house. Queen size bed in master suite & 2 twin beds in guest bedroom. Seasonal Rate is $1,700 for 3 mo. minimum. $1,500 Month for 6 mo. 12% tax applies if unit is rented less than 6 months and 1 day. Tenant pays electric, personal water, telephone, and cable.Lawn is watered from lake. Landlord pays 1 SCC Community Assoc. fee. WINTER PARADISE $1900!This lovely screened Pool furnished home is situated on a quiet cul-de-sac and overlooks the 9th Tee of the Golfcourse. Wood burning fireplace. Queen bed in MB, twin beds in both GB. The open kitchen is sure to please you with its birch wood cabinets, breakfast bar + separate breakfast area, pantry & ceramic tiled floors. Retreat to the luxurious master suite where you will find a walk-in closet, sitting area, sliders to the pool & a private bath w/soothing garden tub & a stall shower. Pool service and lawn maintenance included. Tenant pays Electric & Water, Cable/Internet Service. HOME IS IN A NICE PARK LIKE SETTING FEATURING NEW TILE IN KITCHEN, NICE BERBER CARPET, QUEEN HIDE-A-BED IN LIVING ROOM, DAY BED IN GUEST BR, QUEEN SIZE BED IN MASTER BR WITH A SLIDING GLASS DOOR, W/D ARE ON GLASS ENCLOSED LANAI & A PORTABLE GRILL. SEASONAL RENTAL RATE-$1,400 PLUS 12% TAX IF RENTED LESS THAN 6 MONTHS AND 1 DAY. Cute as a button! Fully furnished with a newer living room set, newer carpet & flooring throughout. Updated Air-Cond, newer refrigerator, window treatments & an indoor stackable washer/dryer. Twin beds in MB but room can easily accomodate a king bed & large furniture.Located just steps from the King's Point Executive Golf Course & Main Club House that has indoor & outdoor heated swimming pools and over 200 clubs & organizations to enjoy. You can drive your golf cart anywhere-NO car needed plus King's Point has its own transportation system. Landlord pays water & sewer, basic cable TV, lawn service, spraying & Clubhouse dues for 2 tenants. Seasonal rate-$1,000, Security Deposit $500, Utility Dep.$200. 12% tax applies if rented less than 6 mo & 1 day. OUTSTANDING WATER & NATURE PRESERVE VIEW. FULLY FURNISHED HAMPTON MODEL WITH SCREENED LANAI & OVERSIZED LAUNDRY/STORAGE ROOM.NICE CARPET, TILE,& UPDATED APPLIANCES. 3 MO MINIMUN SEASONAL RATE $1760 + $150 FOR TELE & ELEC. 12% TAX IF RENTED LESS -6 MOS & 1 day. CREATED TO ENJOY! COMBINATION OF SOFT LIVING AND CLASSIC ELEGANCE.SEASONAL RATE..$1,400 MONTH. AN ELEGANT HOME ON THE GOLFCOURSE. TWO BEDROOMS 2 BATHS PLUS AN ENLARGED LANAI.QUEEN SIZE BED IN MB, 2 TWIN BEDS IN GUEST BEDROOM, FUTON BED ON ENC. LANAI. TENANT PAYS ELECTRIC & TELEPHONE. lANDLORD PAYS FOR BASIC CABLE TV, WATER & SEWER, LAWN MAINTENANCE, AND CLUBHOUSE ACTIVITY CENTER FEES FOR TWO TENANTS.12% TAX APPLIES IF UNIT IS RENTED LESS THAN 6 MONTHS AND 1 DAY. Available April 2015. THIS MUST SEE UNIQUE 2/2 CONDO HAS SOME "OLD WORLD" CHARM. TILE ENTRY, HALL, DINING, KITCHEN AND BATHS PAVE THE WAY TO EASY MAINTENANCE OF THE INTERIOR. WALK IN CLOSET, GLASS ENCLOSED LANAI AND COVERED PARKING. LOVELY HAND PAINTED MURIELS WILL DELIGHT THE CREATIVITY IN ALL OF US. THIS IS DEFINITELY A CHARMER. MOVE RIGHT INTO THIS FURNISHED BEAUTY. CLOSE TO CLUBHOUSE AND WALKING DISTANCE TO SHOPPING. ENJOY ALL THE AMMENITIES OF KINGS POINT! COMMUNITY POOLS, RECREATION, LOTS OF CLUBS TO JOIN AND FREE TRAM SERVICE WITHIN KINGS POINT.THIS RENTAL IS FURNISHED WITH EVERYTHING YOU WILL NEED!SEASONAL RATE $1,400 INCLUDES ELECTRIC UP TO $100 MO.,BASIC CABLE IF RENTED LESS THAN 6 MONTHS AND ONE DAY A 12% TOURIST TAX WILL APPLY. $1,100 includes Utilties & Golf Cart if rented 6 months. 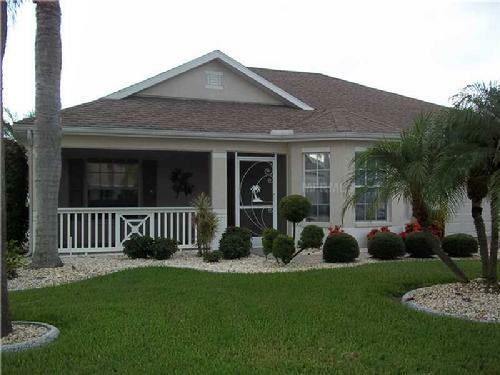 Lovely Two bedrooms Two baths with Florida room and screen porch over looking the North Golf Course. Fully furnished-pots & pans,dishes,silverware,linens & TV's. 6 MO Seasonal rate-$1,100 Mo,3 Mo rate $1,400. Tenant reimburses landlord Electric, Water & Cable, & Telephone. 12% Tax applies if unit is rented less than 6 months and 1 day. Golf Cart included with Tenant purchasing their own liability insurance. Nice 2BR/2BA Stuart model with spacious Florida Room under air. Large Utility Room with golf cart storage area. Updated Master Bath counter sink & shower with Handicap bars. Master Suite has walk-in closet & Queen-size bed.Seasonal rate-$1400 MO + 12% Tax Unit can be rented Furnished, Unfurnished, or leased with the option to purchase. Seasonal rate-$1,400.00 12% tax applies if unit is rented less than 6 mo and 1 day. Landlord pays basic cable, water & sewer, clubhouse dues, and lawn maintenance. Tenant pays electric and any additional cable/internet or telephone services. Landlord provides Basic Kings Point Warranty. Enjoy the resort lifestyle or relax in your recliner while watching your 27 in. T.V. Available April 1st, 2011. Talk about fancy! There are granite top counters in the kitchen. The tiled level enclosed lanai has a T.V. as well as the guest and master bedroom. This exotic 2br 2ba has been kept in great condition. There is even an utility room that has golf cart doors! Don't let this gorgeous home pass you by! This elegant home is $1,500 per month Seasonal rate, and $900 annual rate. 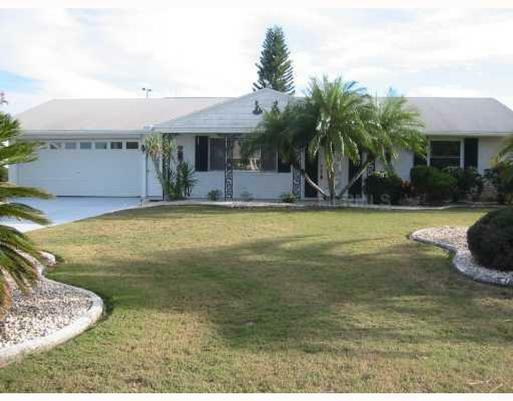 LOVELY FURNISHED SINGLE FAMILY HOME LOCATED ON GOLFCOURSE.SCREENED LANAI & 2 CAR GARAGE. SPACIOUS EAT-IN KITCHEN, KING SIZE BED IN MB, TWO REGULAR SIZE BEDS IN GB. TENANT PAYS ELECTRIC & WATER. 12% TAX APPLIES IF UNIT IS RENTED LESS THAN 6 MO.& ONE DAYClick here for more information!